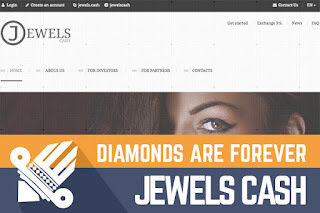 Today I will review our newest member Jewels Cash, which has joined Sticky listing only two days ago. The program has been online already for 14 days. At this moment I have reinvested $360, and I am eager to make some money out of it! So, let’s see if the admins will manage to make some money out of diamonds and help me making a profit. Probably you already have an idea what’s the catchy storyline behind this HYIP. It reminds me a good old song with a chorus – “Diamonds are forever”. Well, it’s catchy, but let’s see what they can offer us and how does it look like under the hood. We all want to know if the program will earn money for us or if it will be just a next scam. So, how can we find out about it? In fact, we can’t because most of the facts in HYIP world can’t be checked. However, we can at least read the story carefully and decide if it makes sense. A story about jewels makes a lot of sense to me, and I’m sure you can make money in the jewelry industry. I truly believe that the beauty is eternal and there always will be someone looking for a necklace, ring or earrings with a big piece of diamond. Of course, we can’t ask anybody if Jewels Cash is the real deal in the jewelry industry. However, they claim that they will use our investments to increase the number of jewels sales in order to get more revenue from branded sales channels. Long story short – they claim that they are financing jewelry manufacturing and product processing, and buying/selling diamonds. Please keep it in mind; it’s just a story. The website has a language selector, and there are two main languages – English and Russian. I assume that these are the primary audiences for Jewels Cash. It requires extra effort and resources to translate the website into several languages. It’s a lot of work, but a nice thing to have. Especially, if you are willing to create a program, which will not be another HYIP drowning in the trash hole. Representatives can be reached by e-mail, skype or through telegram messenger. I had no need to solve any investment related issues and can’t say much about the response time. However on the About us page, they mention 24/7 support. I have checked the conversations about Jewels Cash on some of the popular forums, and I have to admit that I didn’t notice anything unusual there. Random discussions and exchange of opinion about probability to make some on Jewels Cash. In the meanwhile, there is not too much communication out there. However, keep in mind it has been online for 13 days so far and it is a comparably young program. It’s time to take a closer look at their investment plans, in order to understand if this program fits your needs and investment strategy. 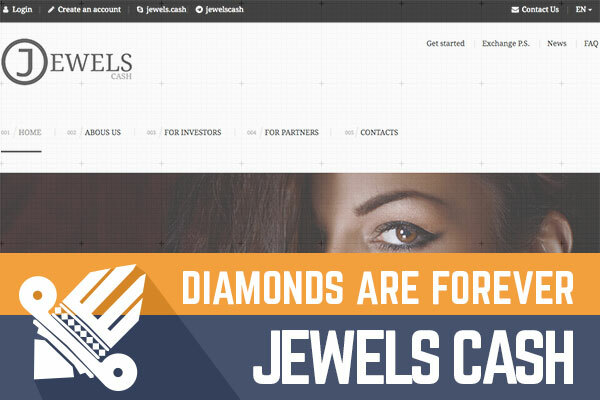 Jewels Cash has an unusual investment plan strategy - they don’t offer you to choose any of their investment plans. I mean, you can see the information about different investment plans, but you need to complete them step by step in order to have access to the next investment plan in the chain. Of course, every following investment plan is financially more beneficial and is promising to make a higher return on investment for you. In total there are 9 different investment plans. On the other hand, at the beginning, you can choose one of the 3 plans with interest rates 1, 1.25 or 1.5% and have different terms – 3, 12 and 18 days. Moreover, these plans allow you to make a different amount of investments. In the meanwhile, the deposit will be returned at the end of it. Except for the last three plans, which have much higher interest rates – 4.22 – 5%. However, you must get achievements by finishing one of the first plans, in order to get here. So, if you invest $360 in the first plan called Mineral for 3 days, then at the end of the plan you will receive $370.8. It’s not a lot and you make a pretty large investment. However, it takes only 3 days. I must admit that their plans are complicated and for people outside the HYIP industry they might be hard to understand. In the meanwhile, it can’t stop this project from going viral. As I wrote earlier, this program has been online for 14 days, which means that first investment plan has already made 4 full investment cycles, second – 1 investment lap. Moreover, investors that made an investment in a second plan 13 days ago should be able to make an investment in the Gold plan already, which promises 1.42% daily interest rate for 21 days. I believe I have covered here most important facts about Jewels Cash. It’s one of a kind in terms of investment plans. The administrator has his own reasons for choosing such strategy, which might work fine and motivate investors to continue achieving next investment plans with higher interest rates. However, for some, it might be a bit too complicated. Nothing unusual about the website and the overall impression they make. No matter if you are a beginner or a pro in HYIP, always evaluate investment risk and invest money that you can afford to lose! Investment plans: 1% up to 1.7% daily for 3 up to 30 calendar days, initial deposit returned at the end of the investment term. On Bonus Bitcoin Faucet you may recieve free bitcoins. Up to 5,000 satoshis every 15 minutes.